Edition F is a business-magazine for female (and male) entrepreneurs. 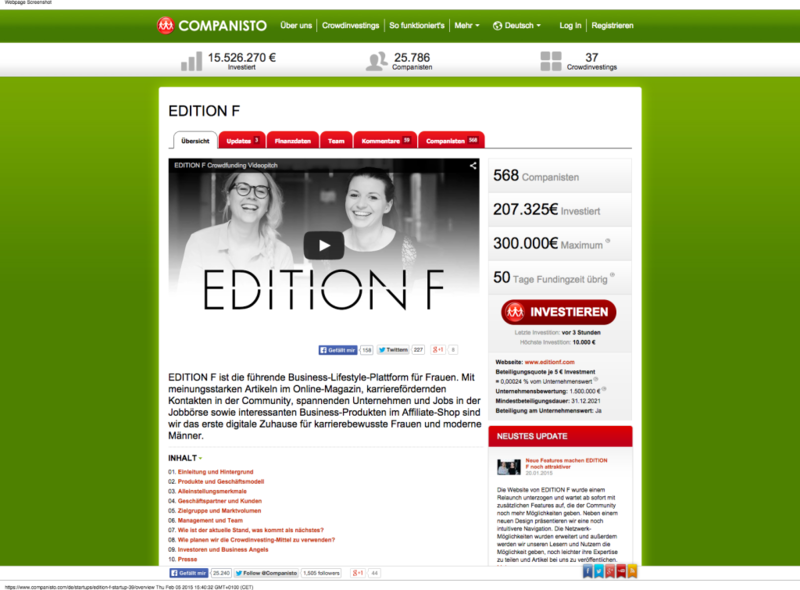 They have raised 200.000 Euros on Companisto through Crowdinvesting. Edition F is the future of journalism because its run by a number of dedicated journalists who wanted to disprove the idea that economic journalism has to be geared towards male audiences only. Through Crowdinvesting they showed that their brand is powerful, through Social Media they reach new audiences.